Monarch Air Group provides private air charter in Gresham, OR. Our clients benefit from top-notch service, unrelenting dedication to safety, wide selection of aircraft, and years of experience in chartering private jets. To obtain a free quote, please use our online quoting tool provided below, or call toll free 1-877-281-3051. Monarch Air Group provides private jet charter flights in and out of Gresham, Oregon, USA. Gresham is a city in northwestern Oregon, east of Portland. With a population of 105,594 people, Gresham is the fourth largest city in Oregon. The most popular places of interest include Gresham Pioneer Museum, Red Sunset Park, Gresham-Fairview Trail Phase I, Gresham Main City Park, Springwater Trail Corridor, Butler Creek Park, and some others. 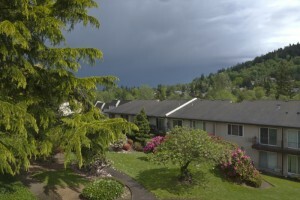 The city is served by Portland International Airport (PDX / KPDX), which is situated 14 miles from the center of Gresham. 2. DLS, Columbia Gorge Regional/The Dalles Municipal Airport, The Dalles, United States. 3. HIO, Portland, Hillsboro, United States. 4. KLS, Longview, Kelso, United States. 5. LOG, Longview, Longview, United States. 6. McMinnville Municipal, McMinnville, United States. 7. PDX, Portland International, Portland, Or, United States. 1. Guesthouse Hotel-Gresham Oregon, 1477 Northeast 183rd Avenue, Gresham. 2. Guesthouse Hotel-Gresham Oregon, 1477 Northeast 183rd Avenue, Gresham.